The map above shows where you can find the cheapest and most expensive pints in the UK in 2018. 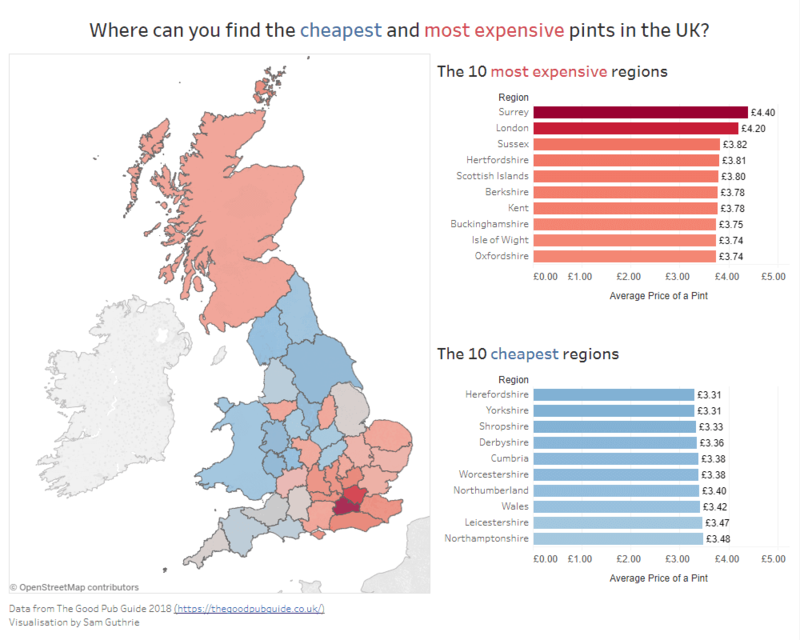 Herefordshire & Yorkshire are the cheapest at an average price of just £3.31 a pint whereas Surrey (not London!) is the most expensive at £4.40. All data comes from the Good Pub Guide 2018 and so is probably not reflective of the price you’d pay in your local Spoons. Your title is incorrect, it may be the cheapest regions in Great Britain but not the UK. you forgot N.Ireland.